Will there be another season of The Blacklist? Recently, NBC chief Jennifer Salke discussed the future of the TV series, Deadline reports. The thriller drama revolves around one of the FBI’s most wanted fugitives, Raymond “Red” Reddington (James Spader). The cast also includes Diego Klattenhoff, Harry Lennix, Ryan Eggold, Hisham Tawfiq, Amir Arison, and Mozhan Marno. Last month, NBC debuted a spin-off series called The Blacklist: Redemption. Season four of The Blacklist is on hiatus until April 20th and ratings have been down for the show. Season four has been earning an average rating of 1.06 in the 18-49 demo and 5.471 million viewers. For comparison, season three averaged a 1.42 rating in the 18-49 demo with a total of 6.83 million viewers. The creators of The Blacklist will pitch a new season to NBC next week. What do you think? Do you watch The Blacklist? Should NBC renew the series? 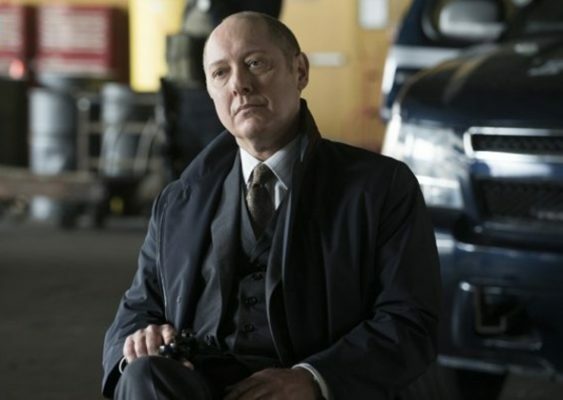 The Blacklist: Is the NBC TV Show Cancelled or Renewed for Season Five? Love the Blacklist series……please continue. Yes, we watched the Blacklist from day one & believe it’s the best show on TV. NBC, if you cancel this show, you will lose. So what the rating went down a little. There were so many new shows that came on. That’s a norm. You guys would be stupid to let The Blacklist show go!!!!!!!!!!!!!! Please please continue this show! The characters are amazing! This show actually makes you think – so many story lines to connect! The Redemption started out really slow but got better as the episodes went on. Wasnt sure if these were going to be two separate shows or a combining of the two?!?! BLACKLIST has to continue!! James Spader is one of the most amazing actors in the whole field of acting! My Husband and I love this show and we want see many episodes to come. This is one of the most interesting shows we have ever watched, cinematic and story line, This show should not be taken off the air. So glad to hear. I love this show. My husband and I love this show. We are very glad it has been renewed. Needs to be renewed. Am sick of reality shows. The Blacklist keeps one guessing. James Spader is terrific. Yes, this is a great show and James Spader is excellent. Renew, renew. Best show ever! Love James Spader. Best show on TV! Want the ratings to go up? Invest in some advertisement!! Have the cast do some talk shows. It’s just too good to cancel! Please don’t cancel this show. In my opinion its the best show on. I just got hooked on The Blacklist in the last few months. Love it!!!!!!!!!!!!!!!!!!!!!!!!!!!!!!!!!!!!!!!!!!!!!!!!!!!!!!!!!!!!!!!!!!!!!!!!!!!!!!!!!!!!!! Please do not cancel this show! Both my husband and I are followers and enjoy the show very much. NO NOT CANCEL THE BLACKLIST. I love this show and James Spader. It’s the best show on NBC.